I am one of the best values in the entire state of Florida! Offering you 2,104 square feet of living room you won’t be piled on top of each other here! My island range, separate dining room, and sunken great room are all open and provide great room to roam at a party or relax after a hard day of work. Looking to kick back and enjoy the Florida lifestyle? My screened patio is perfect for just that! Let your four-legged friends wander the yard while you enjoy the peace and tranquility of a fully fenced private backyard. I also offer you a highly sought after split plan, 2-car garage, and 2 full baths. I have a walk-in closet in my master and sit high and dry on hill. Did I mention that I backed to the Lyonia Preserve? No neighbors in my back yard! Probably ever! 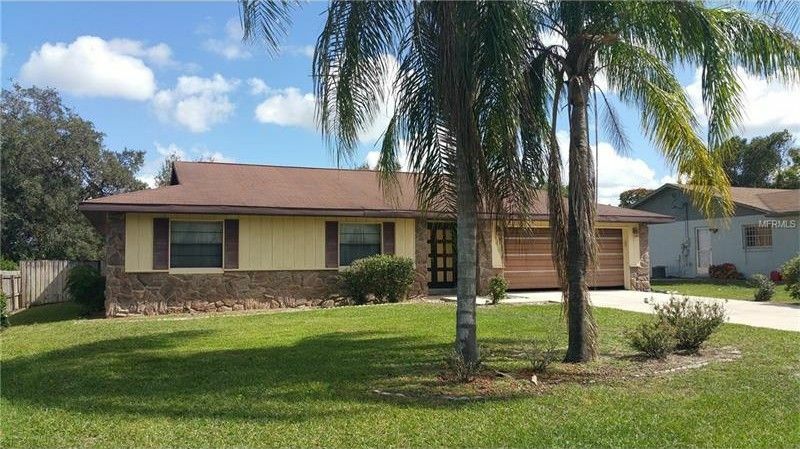 Looking for a great buy in Deltona? I am the one! Come see me now!